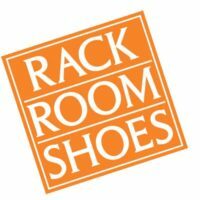 Rack Room Shoes is a chain of retail stores in the United States specializing in footwear. The company also owns a division called Off Broadway Shoe Warehouse that operates locations in the United States. You can find a link to get a Rack Room Shoes application by going through the application links at the bottom. The company was established by Phil Levinson in 1920 in Salisbury, North Carolina. Levinson sold his business to Mort Lerner. Deichmann Schuhe, a privately owned German company, purchased the footwear company when it had 22 stores in 1984. Rack Room Shoes now has its 72,000 square foot headquarters in Charlotte, North Carolina. The chain operates more than 400 stores across 26 states. Heinrich Deichmann-Schuhe GmbH & Co. KG is a limited company headquartered in Essen, Germany, where it was founded in 1913. Heinrich Deichmann is Chairman and Dr. Heinz-Horst Deichmann is Deputy Chairman of the company which owns more than 3300 stores in 24 countries and employs more than 33,000 people. The business specializes in shoes and bags. The shoe retailer runs a program called Rack Room Gives to give back to its communities. The company has partnered with Shoes That Fit, and has provided more than 60,000 pairs of shoes for needy children. Another program is Rack Room Grants. The business also provides gift cards for local community fundraisers, and provides corporate donations for various causes. The retailer occasionally has corporate level career opportunities available online. These would be available in the Charlotte, North Carolina headquarters. Some possible positions include Administration / Management, Shopping / Quality Management / Procurement, Shopping Assistant, Experienced HR Administrator, Employees POS Helpdesk, SAP Specialist, Software – CRM Developer, Software – Developer DHW / BI, Logistics / Distribution Center, Marketing, Corporate Communications, Customer Relationship Manager, and Sales / Distribution. In-store and entry-level careers are listed on the company website. There are job opportunities for Sales Associates, Assistant Store Managers, and Management Trainees. If you would like to apply for jobs at Rack Room Shoes by using their online application process, begin by looking up your local store for openings. How old do you have to be to work at Rack Room Shoes? You must be 18 to work at Rack Room Shoes. Sales Associates do not need prior working experience to be considered for employment, but other positions do. Be sure to read the brief job description provided at the website before you fill out a Rack Room Shoes application. Benefits of employment with the footwear retailer include flexible hours, the chance to move up in a company that helps its employees do just that, and an inclusive working environment. The business recognizes its employees for their good work. Store hours vary by location. Monday through Saturday 10:00 AM to 9:00 PM, Sunday 12:00 PM to 6:00 PM are typical store hours. Sales Associate – A Sales Associate provides customer service, keeps the sales area clean and orderly, and runs the cash register. This person must follow company guidelines and stay up to date on company policies. Experience is not required, but the company prefers Sales Associates who are friendly and outgoing. Pay for this position starts at minimum wage and can reach several dollars more. Assistant Store Manager – An Assistant Store Manager assists the Store Manager by following their instructions to maximize profits and to lead the Sales Associates. This person’s responsibilities include training Sales Associates according to company guidelines. A college degree or sufficient retail experience is required. Pay for this position starts around $9.00 per hour. Management Trainee – A Management Trainee will work alongside the Store Manager, like the Assistant Store Manager does, but while being trained to become a Store Manager. This position requires a college degree or equivalent sales experience, and good communication skills in order to lead employees. Salary for this position starts around $23,000 per year. CRM Developer/System Analyst – This is a corporate level position. A Customer Relationship Management Developer/System Analyst will use Salesforce software to help salespeople manage customer relationships. This is an IT position. Proficiency in applicable software programs, a bachelor’s degree, and at least three years of experience is required. Salary for this position starts around $43,000 per year, and can more than double. What attracted you to our company? Do you love shoes? Did you hear that the company hires people with little experience and helps them move up? Tell your interviewer what you admire about the retailer. Do a little research about the company before you arrive for your interview to make answering this question easier. What relevant experience do you have for the position you want? This company takes chances by hiring young people who have no work history, but only for entry-level positions. Make sure that meet the requirements of any jobs that interest you before you fill out applications online at their website. Would you describe yourself as an outgoing person? While you won’t need many skills to be hired as a Sales Associate, the retailer does want its workers to express warmth and friendliness toward its customers and other employees. Remember that your interviewer will be watching how you act as well as listening to what you say during your interview. If a customer owed $80.23 and gave you a hundred dollar bill, how much change would you give them? You will need to have basic math skills to work in the retail industry. If you don’t know how to count back change, at least let your interviewer know that you have a rough idea, so they will feel confident that you won’t give customers the wrong change. Will you be available to work the days and times that we need you? Rack Room Shoes careers require employees who can work when the stores are open. You may be expected to work evenings, week-ends, and holidays. If there is any reason you can’t work part of the time, discuss it with your interviewer to see if they can work around it. Dress nicely for your interview for Rack Room Shoes jobs. Be sure to wear very nice shoes and be prepared to talk about them, if you are applying for an in-store position. You will not be able to get a printable application for Rack Room Shoes at the website, although you can begin the application process there. If you would like to know how to apply for Rack Room Shoes online, go to their website through the application links below. You will not be able to download application form or get a printable application form at the site. You will not be able to upload your resume, but you can copy and paste the information onto the preliminary application form. You cannot get a direct application to apply for Rack Room Shoes online. You can begin the free application process at the website. After you’ve selected the job you want, apply online with the form provided at the website. If you are selected, you will be allowed to continue the application process after the retailer contacts you.